Current Version: 4.0 Requires TRIBUNAL or BLOODMOON! 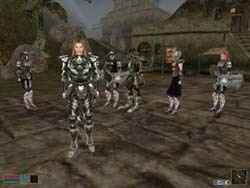 Adds 15 mercenaries scattered around Vvardenfell and Mournhold that the player can hire as companions. 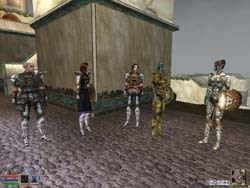 Six of thise companions can be found in a mercenary guild I placed just outside Caldera. 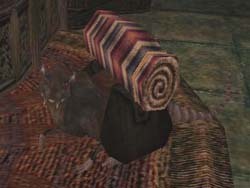 All companions feature companion share and a version of Grumpy's warping script. NOTE: See readme for important info. Current Version: 1.7 Requires BLOODMOON! 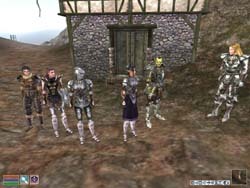 Adds 5 additional mercenaries located in various places around Solstheim. All have the same capabilities as the original mercenaries in Mercenary Pack, as well as a new health regen ability. This mod requires Mercenary Pack version 4.0 or higher in order to work, as this add-on relies entirely on the dialog system and scripts in that mod. Current Version: 1.1 Requires TRIBUNAL or BLOODMOON! 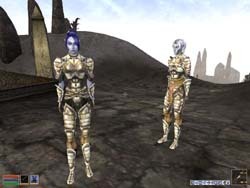 Adds 5 additional mercenaries located in various places around Vvardenfell, which can act as actual guards (great for strongholds). This mod requires Mercenary Pack version 4.0 or higher in order to work, as this add-on relies on the dialog system and scripts in that mod. 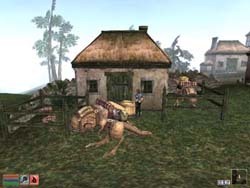 Adds a number of NPCs scattered about Vvardenfell who will eagerly join you in your quest. There is no Tribunal functionality available in this mod, which means no companion share and no warping script. Rhedd's heads required in order for this mod to work properly. Current Version: 1.0 Requires TRIBUNAL Expansion! I made this mod after buying my first pack rat in Mournhold, only have have it run off ten minutes later. Modifies the stock Tribunal pack rat to use a version of Grumpy's warping script. No other changes were made, though I did use a brand new script to avoid problems, rather than modifying the existing one. Current Version: 2.1 Requires BLOODMOON Expansion! 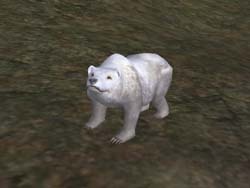 Adds a friendly bear to the dock at Fort Frostmoth who will follow you around and fight alongside you. The bear has a version of Grumpy's warping script, but no companion share, since I didn't think it would be appropriate. I mean, where the heck is he going to put all the crap you give him anyway? Current Version: 1.1 Requires TRIBUNAL Expansion! Adds a new merchant in Pelagiad who will sell you pack rats and pack guars. The rats cost 150 gold, and the guars cost 1,000 gold. The merchant will buy a limited selection of items, and has 5,000 gold for this purpose. Rats and guars include companion share and a version of Grumpy's warping script. Current Version: 2.01 Requires TRIBUNAL and BLOODMOON! Adds a female mage companion to the game. She will level up along with the player. She will also automatically heal herself or the player if either drops to 50% health or lower. Now updated to Grumpy's version 3.1 companion script. Current Version: 1.3 Requires BLOODMOON Expansion! Adds a male Nord warrior in the Skaal village who will join the player. 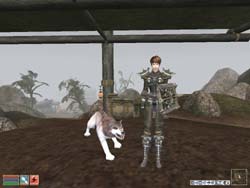 This companion has his own pet wolf who will follow him around and fight beside him. He can also automatically heal himself and the wolf. Fully compatible with Skaal Companion - Corana. 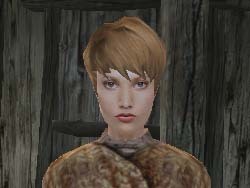 Adds a female Nord warrior in the Skaal village who will join the player. 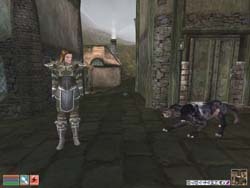 This companion has her own pet wolf who will follow her around and fight beside her. She can also automatically heal herself and the wolf. Fully compatible with Skaal Companion - Ulfgaar. Current Version: 1.3 Requires TRIBUNAL or BLOODMOON! 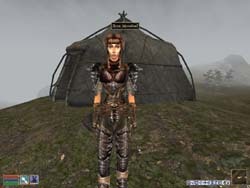 Adds a female wood elf living in a yurt near Khuul who will join the player. 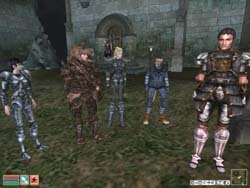 This companion will level up with the player, and includes a version of the esp that does not enforce the 100-point cap. Her head and hair are from Better Heads v1.1, by Motoki. Note: Do not use both esp files together. See readme for more info. Current Version: 1.0 Requires TRIBUNAL or BLOODMOON! Adds a female drow spellcaster companion to Arrille's Tradehouse in Seyda Neen. Intended for use as a support character. 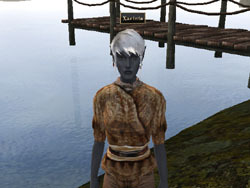 Note: Requires ShadowTek's Drow Race v1.7 mod. Current Version: 1.0 Requires TRIBUNAL & Galith Race mod! Adds 2 Galith companions to the game, who you will find in The Rat in the Pot, in Ald-Ruhn. These companions include all of major functionality of my other companion mods, and are based on Grumpy's latest companion script. Note: Requires kwshipman's Galith Race mod. Current Version: 1.0 Requires TRIBUNAL & MOG*MOD! 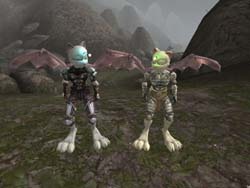 Adds 2 Mog companions to the game, who you will find in Six Fishes, in Ebonheart. These companions include all of major functionality of my other companion mods, and are based on Grumpy's latest companion script. Note: Requires Ian McConville's MOG*MOD.